Some SCORPA Motorcycles Manuals PDF are above the page. 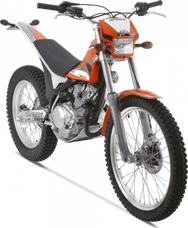 Founded in 1993 by Marc Teissier and Joël Domergue, Scorpa designs, develops and sells trial motorcycles. 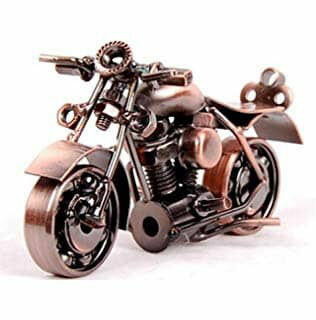 Its ambition is to design high-performance motorcycles with a strong identity and a high level of quality. Realized in 8 weeks, the prototype called "Type 293" Rotax engine, participates in the World Championship and Championship of France trial at the hands of Bruno Camozzi. 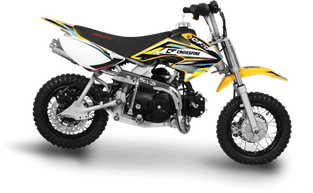 The sporting successes encountered as well as the interest aroused by this new trial motorcycle contribute to the desire for industrial production and the development of a distribution network. From November 1993, after its official presentation, the first Scorpa manufactured series the Works 294 will be manufactured and sold 100 copies. Succeeding in October 1994, the Works 295, improved version, will be sold in 250 copies. In 1995, after its presentation at the Mondial du Deux Roues in Paris, a new model called Easy, whose identity is marked by its technical solutions and design, is marketed to more than 300 units. In 1996, the new Easy vintage will innovate technically with the adoption of an innovative rear brake system and a resonance device on the intake and exhaust. Produced in two engine sizes, 250 and 280 cm³, the Easy model will continue its career, under the names Top, Fun and Race. In 1998, in addition to a victory at the Six Days of Scotland with the British driver Graham Jarvis, Scorpa placed 4th at the World Trial Championship. Since 1999, Scorpa has been contacted by Yamaha Motor Corporation. (Manuals pages) in order to develop a partnership, resulting in the supply of engines 250cc two times then 125cc four stroke also recently 250cc four stroke. While the Easy 99 still presents some technical improvements, Scorpa is developing a 100% new model, designed around a new engine, which is scheduled for launch in the year 2000. Lately Scorpa also offers a concept between trial and enduro. The T-Ride 250F is supposed to offer the crossing capabilities of a trial bike with the relative comfort of an enduro bike. Since 2005, Scorpa bikes are also distributed in the Yamaha Motor France sales network. The approach is identical on the Belgian Yamaha dealer network since 2006. In addition, the partnership with Yamaha makes it possible to penetrate the Japanese motorcycle market, and to win markets such as the Tokyo Police Academy, which has been equipped with the TY-S 125F model. More recently, the Ecole Nationale de Police de Sens has just acquired the TY-S 175F model for the training of all future police bikers. The commercial distribution is focused on a network of French dealers as well as around 23 official importers for export markets, representing around 60% of turnover. The Scorpa brand currently accounts for 18% of a global annual market estimated at 11,000 motorcycles. The brand has already sold over 10,000 machines worldwide. The Commercial Court of Nîmes pronounced the liquidation of the manufacturer in July 20091. Scorpa was taken over in autumn 2009 by Sherco. 2-stroke models feature Sherco engines and Yamaha 4-stroke models.